If you are new to Pinterest or aim to accelerate your engagement and results on the platform, group boards are an effective part of your growth strategy. Collaborating via group boards will spread your account’s influence to new audiences and help you increase organic traffic to your travel website. 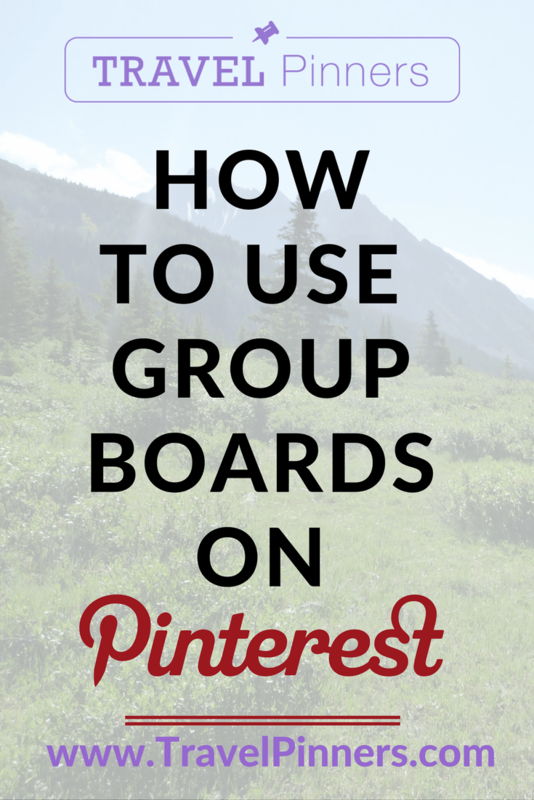 A group board is created when one Pinterest user invites another to collaborate on one of their boards. Once one user invites another to be group board member and the other accepts, the board will appear on the other person’s profile as well, and anything they pin there may be seen by the followers of the group board owner’s account. Group boards are differentiated from normal boards by a symbol of three figures, or in some interfaces, a circle displaying the account pictures from 3 contributors’ profiles. On Pinterest, the more engagement a board gets, the more impressions the pins on that board get in followers’ home feeds, in Pinterest search results, and in related interest feeds. 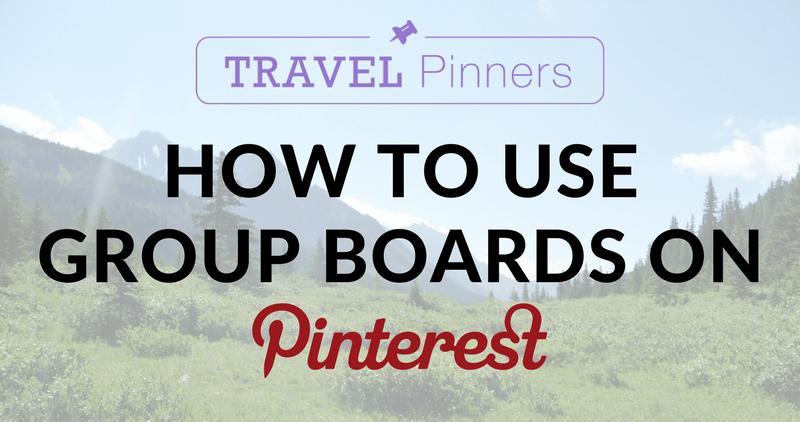 So, good group boards will be those whose pins get more engagement and thus bring more eyes, saves, and clicks to the pins you share there. You may be wondering how you can track just how much engagement a certain board is receiving. Well, Tailwind (<< if you make a purchase through my affiliate link, I may receive a small commission, at no cost to you) has all the answers for you. In Tailwind’s analytics, you can access the “Virality Score” and “Engagement Score” of a board. Virality Score is the average repins per pin for that board. Engagement Score is the average repins per pin per follower and includes the percentage of engagement the board is getting, considering its size. Which Boards Should You Request to Join? Your goal should be to find group boards related to your travel niche that have high scores in the “Board Insights” section of Tailwind. However, the actual numbers don’t matter, as long as you can get on some boards that have the same or better repin rates than your own account’s boards. Just aim to get invited to a few group boards and, as time passes and you join stronger boards, check any new ones against the older ones to make sure you’re not still pinning to the lower performer/s. If a board has a decent amount of followers, chances are the board will be a beneficial place for you to share your content with more users. The only exception to this criteria is if followers were acquired via dubious follow-unfollow methods, in which case the users won’t be engaging with the board owner’s pins and boards very much and you’ll notice a low virality score once you join. Are the pins on the board ‘on topic’? Is the board free of spam and unrelated content? By following this criteria and all of the tips above, your content will thrive on some powerful group boards that will drive new traffic to your travel brand’s site. If you want to know how to find group boards and how to get in touch with the group board owners, download my Group Board resource guide below. Sign up to my newsletter and get your Pinterest Group Boards Resource Guide, including resources on where to find group boards for your niche, and a few methods for getting invitations. Louise Cottrell is the founder of Travel Pinners. She is a leading expert in generating referral traffic and building community on Pinterest for travel and tourism websites.